Monday: Baked Potato Soup with Turkey Bacon & Ritz Crackers! Thursday: TBD.... :) Ideas? Crockpot love? Anyone have any fun lunch ideas? I'm trying to pack more interesting things and get away from the boring lean cusines.... I'm going to try making this Spinach Stuffed Portabellas. I'll let you know how it turns out! 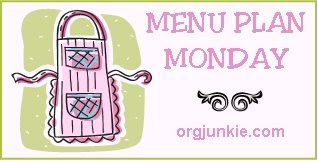 ps: check out more meal planning ideas at Menu Plan Monday! LOL. I'm making Portobello caps too this week! :o) And pizza!